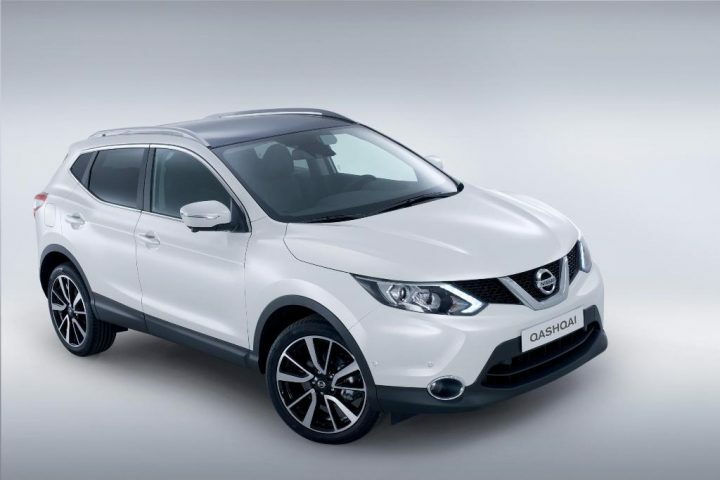 Nissan has revealed the prices of the new Nissan Qashqai for the British market, where the previous generation model was the best selling crossover. Nissan is expected to slot the Qashqai just below the Nissan X-Trail in India, which means it will cost no more than Rs. 25 Lakh ex-showroom Delhi. It remains to be seen what features, trim levels and engines Nissan launched the Qashqai in India, but with competition like the Chevrolet Captiva, Honda CR-V, Hyundai Santa Fe and the Renault Koleos along with a host of SUVs, the crossover has its job cut out for it. Nissan’s new generation 2014 Nissan Qashqai is official now. Recently, the company released its pictures which defined almost everything about its looks. There has been a complete overhaul on the looks front. You will surely fall in love with the glorious new headlights with chevron and the bumper. Just like the previous generation, you will again find a V-shaped chrome grille and flowing lines on the bonnet. Another key is that the car looks like an SUV, but, is listed as crossover. Hence, you can keep the car for a bumpy countryside adventure drive or use it for your daily office travel. With its interior details, the car will further amaze you. Design considerations for the seats have been made borrowing NASA’s intelligence. Hence, the you can relax because the company has taken care of factors like blood flow, bone contact with the seat and sitting position etc. Other features include SYNC featuring speed detection, one touch parking capable of both bay and parallel via parking sensors. The car is also wider, longer and lower as compared to its previous generation. You will have four engine options to choose from. The 1.2 DIG-T turbo four-cylinder generates 115 PS of power and 190 Nm torque. This has a 6-speed manual gearbox. The 1.6 DIG-T has 150 PS of power and 240 Nm torque. The 1.5 dCi diesel engine boasts to be one of the most eco-friendly engines as it releases merely 99 grams of CO2 a kilometer. Off late, Nissan’s rendezvous in the Indian market have not been very fruitful. However, this has not stopped the company from believing in the potential of this market. Hence, the car will make its mark here in either late 2014 or early 2015. And will rival the likes of the XUV 500. It will quite an interesting face-off as the XUV 500 is pretty much having a free run in the market in the light of pretty much no competition.